Professor Lawrence Gostin, the Linda and Timothy O’Neill Professor of Global Health Law, Georgetown University, and a longtime friend of Sydney Law School and the Centre for Health Governance, Law & Ethics, has been honoured by the American Public Health Association’s Law Section for “Lifetime Achievement in Public Health Law ”. 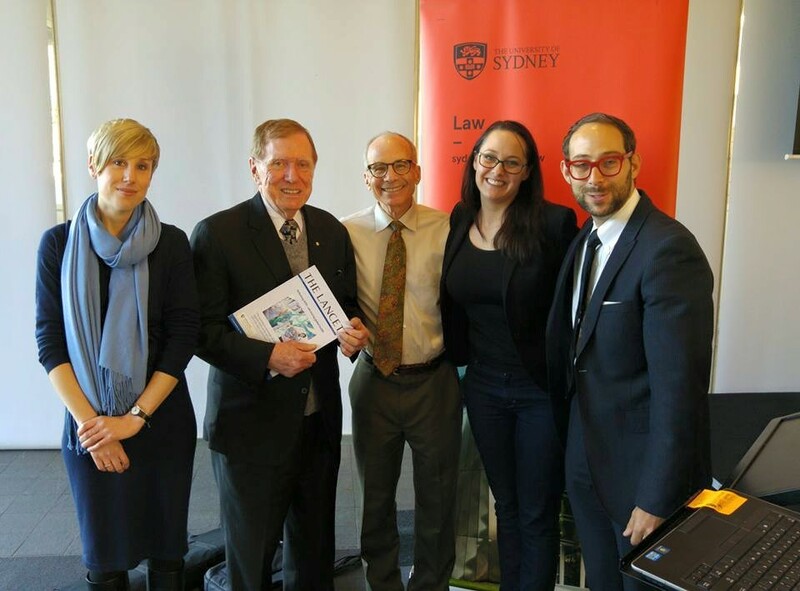 Professor Gostin teaches a popular unit, Global Health Law, in Sydney Law School’s Master of Health Law program. In his short acceptance speech, Professor Gostin reflected on how the field of public health law has flourished over the course of his professional career, and of the challenges and opportunities for younger scholars.